All week long, artists from across New England are installing their artwork on the grounds and in the historic rooms of Governor John Langdon House in Portsmouth, New Hampshire. Their work appears in the upcoming exhibition Sculpted Spaces, Historic Places, presented by Historic New England and the New England Sculptors Association. 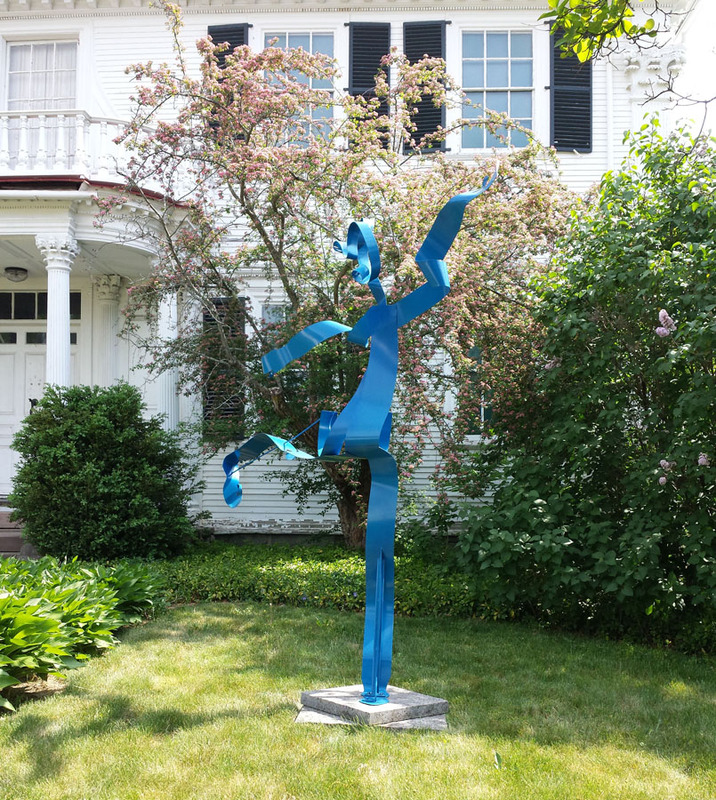 Join us for the opening on Friday, June 5, from 5:30 to 7:30 p.m., and see exciting pieces like Michael Alfano’s Metal Dancer (above). Learn more about the exhibition and its upcoming programs, including gallery tours and artists demonstrations. See a gallery of work on display. In addition to Langdon House, select pieces are on view on the grounds of the Sarah Orne Jewett House Museum and Visitor Center in South Berwick, Maine.